Fenders are composed of several rubber layers as well as reinforcement tire cord with strong durability, this enables fenders to be extremely resistant to pressure and shear and tear or any other external impact, In addition, Fenders with larger than 2.0 Dia are equipped with Safty valve to control fender's over pressure on operation by discharging air to outside but also to protect fender. 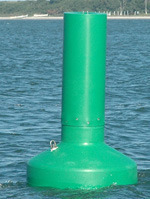 1.5m dia Buoy : a range of low maintenance, cost effective, small to medium sized polyethylene buoys for the marine navigation industry. 2.2mm dia Buoys : a range of low maintenance, cost effective, small to medium sized polyethylene buoys for the marine navigation industry. 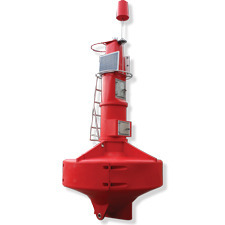 Looking for Marine Buoys ?